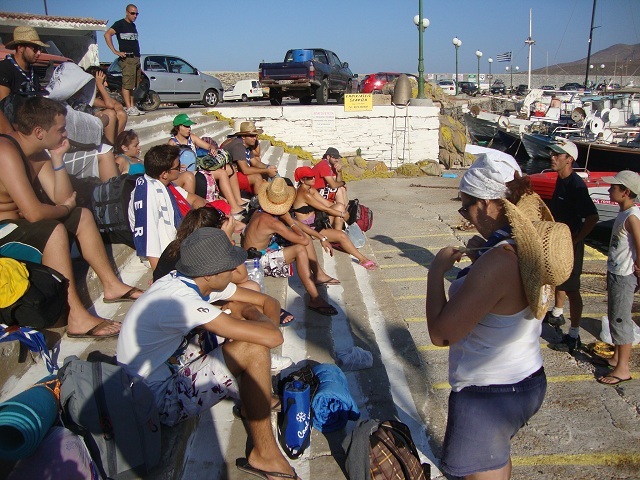 Andros excursion in Achla : Everyone was on time and ready to go on a boat…Andros excursion . After a quick theoretical lesson, adventure can now begin! 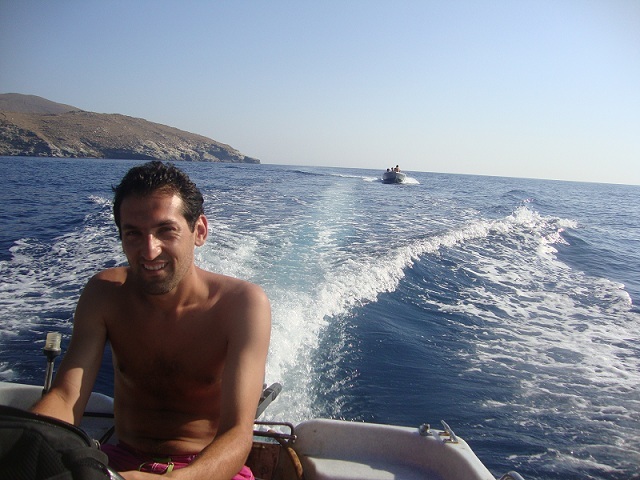 First we stop at the rock of Theotokos and we see the famous Mavropetritis hawk and then we visit at Vori beach… At the end we go to the magnificent beach of Axla! 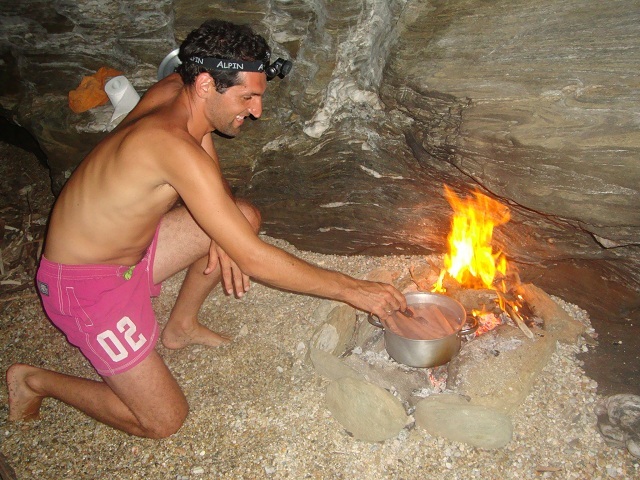 Really fast we secure the boats ,we fix the tents, the fire lit and the evening ran deliciously over a good meal to the fire, and then ended on a few notes of guitar and songs shared on the corner of fire. 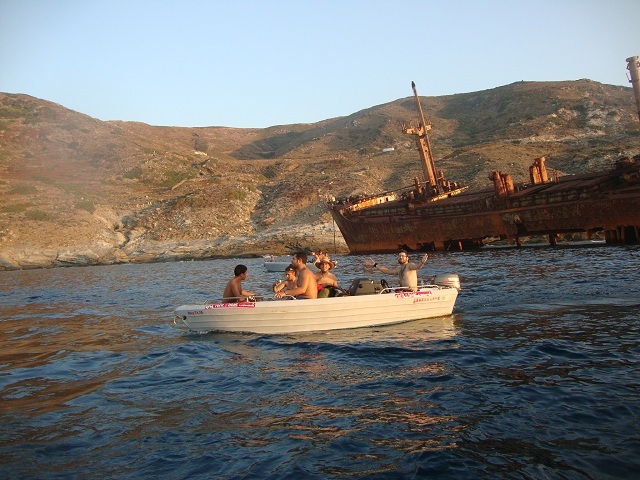 If you want to visit Achla beach with our boats ,always you can call us ! 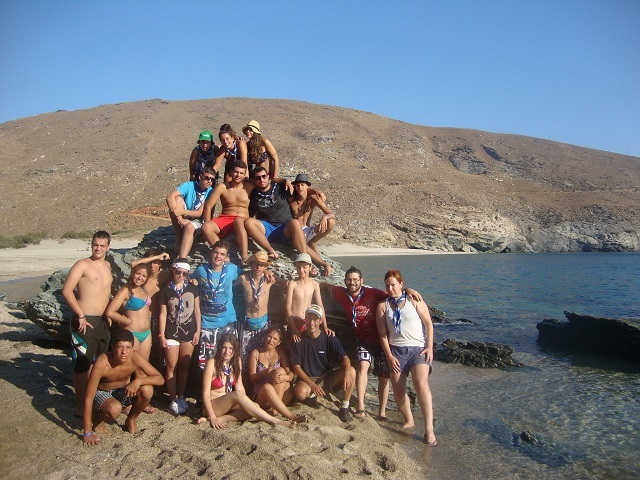 This entry was posted in Beaches of Andros, Nature in Andros and tagged Achla beach, andros, andros location. Bookmark the permalink.